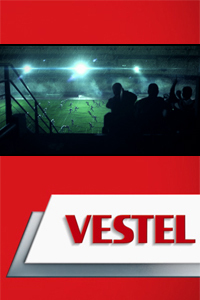 In the middle of a crowded stadium packed with spectators, a team of Vestel transformers squares off against a group of evil one-eyed robots in a high-stakes rugby match. Whatever the challenges are, the Vestron team will have to prevail - even if that includes washing their own dirty laundry a successful match. For the short time I was involved in the making of the commercial, I performed a few smaller rotoscoping & cleanup task, but concentrated primarily on creating and incorporating the particle-based crowd system for the spectators for each and every angle, as well as doing some early R&D work for additional crowd & background elements.